Why choose off-site CNC programming? 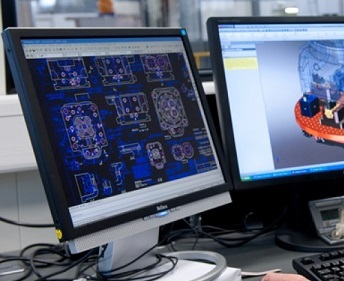 Any manufacturing company which has looked into the purchasing of a CAD/CAM system to implement into their operations has discovered that the initial cost can be quite an expensive investment. Ranging from $2,000 up to $80,000+ for a single licence. 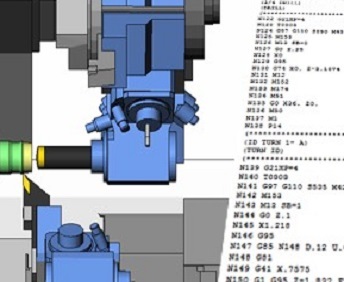 Most CAD/CAM systems come pre-packaged with post-processors (a tool that reads the manufacturing instructions issued from a CAM system and writes an appropriate rendition for a target NC machine), however; most of the time these post-processors will need to be modified in order to work properly with your companies CNC machinery. These modifications can be extremely expensive and time-consuming, quickly doubling your initial investment before working at an appropriate and functional level. Companies often don’t take into account the additional costs they will encounter immediately after purchasing their new software packages. 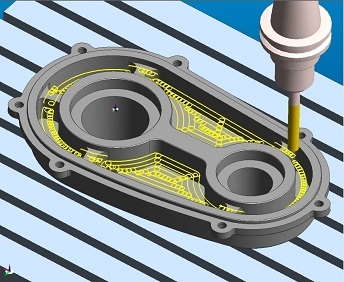 One of the key features of CAM software is the ability to collision check on-the-fly. This is an excellent feature in ensuring your CNC’s will run safely without an operator. Organizations fail to recognize the time consumed in developing a tool library within your CAM package to meet your current tooling. Developing a standardized tool library takes not only significant time with your programmers but also must be understood and implemented with your operators. 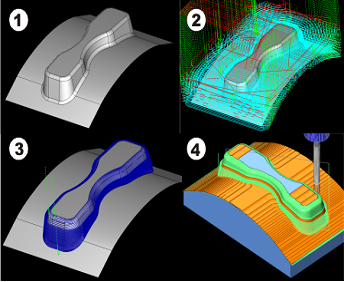 At CNC Concepts we will work with your operators to ensure proper tooling dimensions are reflected in the programming and collisions will be reduced. As with any new technology implemented into your company, there is always a learning curve. Learning curves tend to be expensive and result in major initial losses within productivity. Training courses for new CAD/CAM systems are available, but are costly and can take anywhere from a couple weeks to a couple months to complete. Even after training, it may take your employees years before truly understanding all underlying functions within the software. In the event your employee decides to leave the company, this investment in training is lost.